It's true —bands do make you dance! Especially if it's a maternity band around the waist of a pair of jeans and the jeans are made by Séraphine. Your belly will thank you later. Séraphine is a trusted brand worn by several stars. Jessica Alba, Lily Allen, Jennifer Garner and Sienna Miller are just a few of the women who have been spotted while wearing an item from one of their lines. Séraphine includes maternity clothes, a luxe collection and nursing clothes. 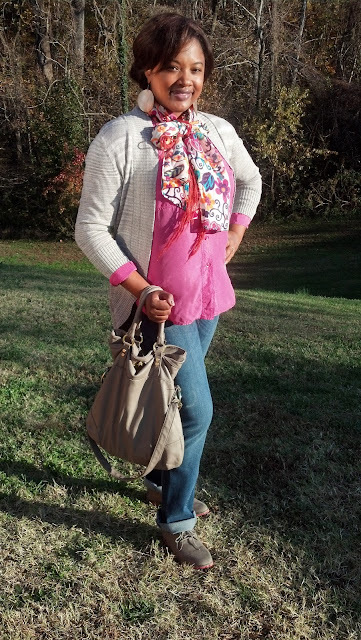 I was sent a pair of blue wash straight leg premium maternity jeans for review. These were worn by Australian star, Danni Minogue. The style was just right. The cut was perfect for my changing body. The length was a bit too long with my flat shoes, but will be perfect with a pair of boots. I chose a size 10. My normal pant size is an 8. 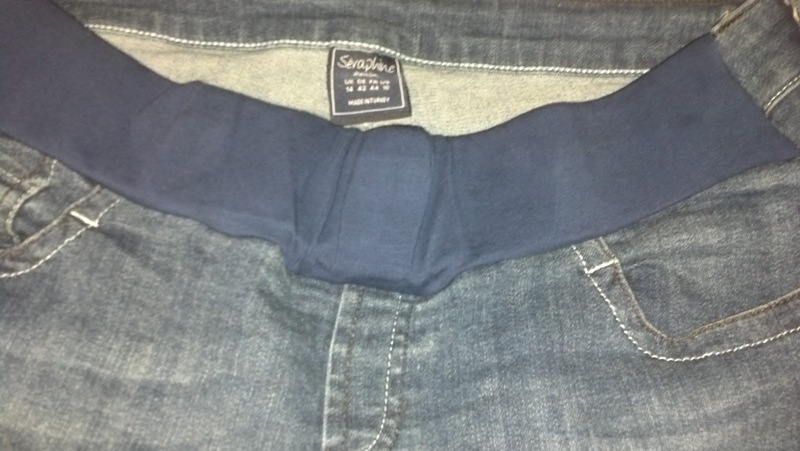 Because of the great amount of stretch in these jeans, I could have easily gone a size down. 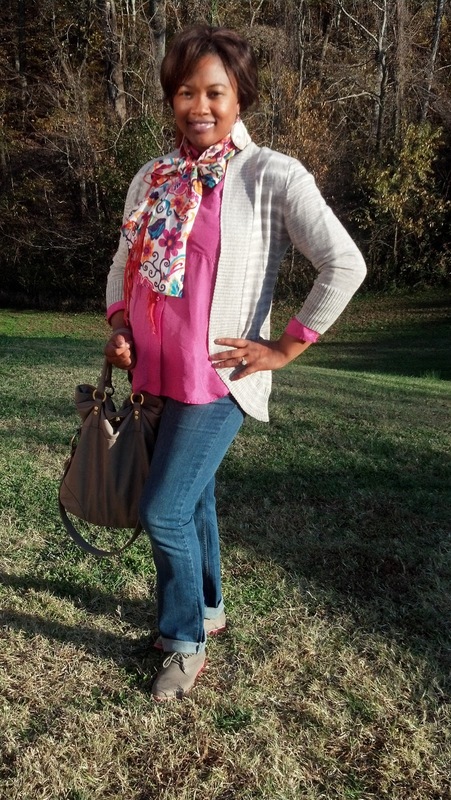 I am glad I chose to go up in size so that I can enjoy the jeans a bit longer. They were loose after wearing them for a few hours. 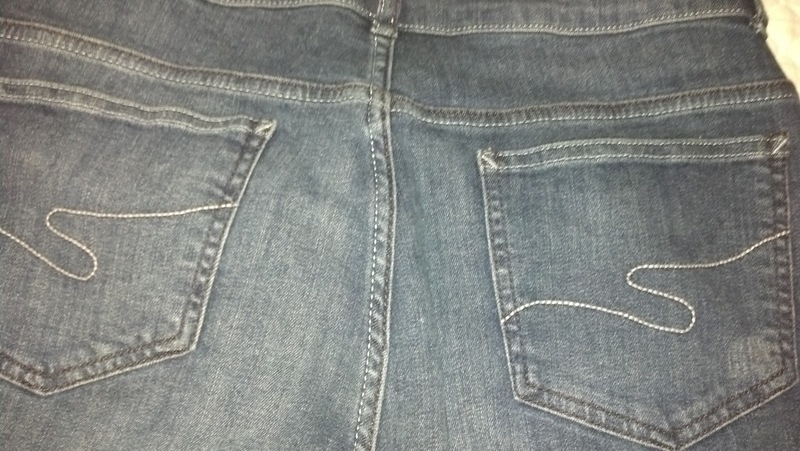 This happens with my normal jeans as well. Maybe they will fit better once I wash them. I paired the jeans with a shrug, a silk blouse, a scarf and a pair of oxford-style shoes. 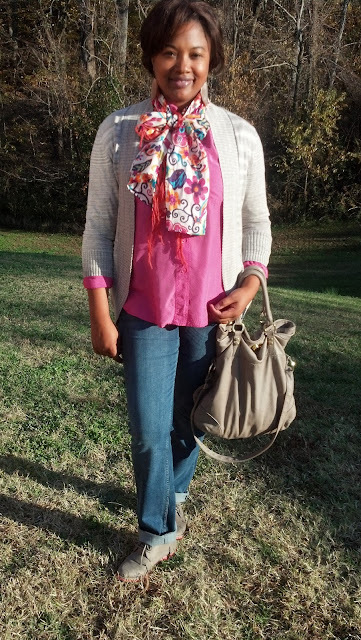 This made for a casual, but pulled-together outfit on a Sunday afternoon. Shrug: New York & Co. Overall, Séraphine makes wonderful jeans. Now I know why so many celebrities become repeat customers — the quality is exceptional. I cannot wait to see what else I can try from their site. Perhaps I'll go for a dress since it is my favorite piece of clothing. For now, I'm content with having a pair of jeans that not only look good, but feel good as well. Yes. I'm doing a happy dance. Disclosure Information: I was sent the above item to facilitate my review. There was no monetary compensation for writing this post. The opinions and views are my own.